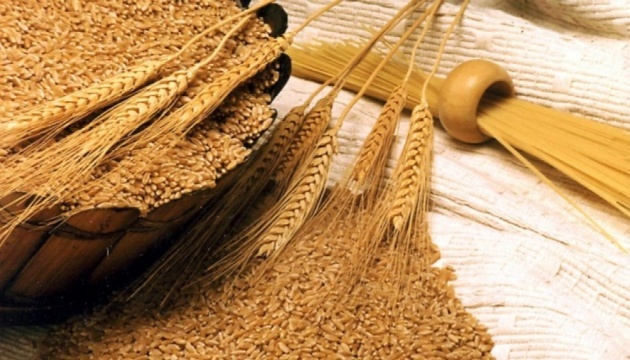 Export of Ukrainian grain crops in the current marketing year exceeded 35 million tons. Such data are cited by the Department of phytosanitary security, control in the field of seed production of the State Consumer Protection Agency. "Since the beginning of the current marketing year, Ukraine has exported more than 35 million tons of grain crops, in particular, 12.7 million tons of wheat (including food - more than 8.1 million tons, forage crops - more than 4.6 million tons), barley - more 3, 1 million tons, corn - 18.4 million tons, "- said in a statement. During the same period of the last marketing year, 29.2 million tons of grain were exported, in particular, 13.6 million tons of wheat (including food - 7.5 million tons and feed wheat 6 million tons), barley - more than 3.9 million tons, corn - 10.9 million tons). In addition, they noted in the relevant department, in the current marketing year, 3.8 million tons of oilseeds were also exported. During the same period last marketing year, almost 4.3 million tons of oilseeds were exported. In 2018, the largest harvest of grain was harvested during the time of Independent Ukraine - only 70.1 million tons. Of these, 35.5 million tons of corn were harvested - 44% more than last year (the previous record was set in 2013 - 30.9 million tons). Also, records are set for the collection of some oilseeds. In 2018, 13.7 million tons of sunflower was harvested - 12% more than in 2017 (the previous record was set in 2016 - 13.6 million tons). A record soybean harvest was also obtained - 4.4 million tons, up 13% more than in 2017 (the previous record was set in 2016 - 4.2 million tons).